Gene Norman, jazz impresario, disc jockey and label president, passed away peacefully at his home in Hollywood, California on November 2nd 2015. He was 93. Born Eugene Nabatoff in New York and a graduate of the University of Wisconsin at 18, Gene began his radio career in San Francisco, before relocating to Los Angeles in the 1940s. A jazz buff, Gene Norman soon became Los Angeles’ leading disc jockey via stints on various local stations, including KLAC. Turning impresario, he initiated a series of jazz concerts throughout the Southland across two decades, including dates featuring Benny Goodman, Peggy Lee and Erroll Garner. His Blues Jubilee programs at the Shrine Auditorium in the early 1950s attracted some of the first integrated audiences in the United States. Norman also introduced the Snader Telescriptions, a prototype MTV-styled concept documenting recording personalities of the era, on NBC-TV. He hosted the first ever televised jazz concert on KTLA, as well as ‘The Gene Norman Show’ and ‘Campus Club’ on KHJ. 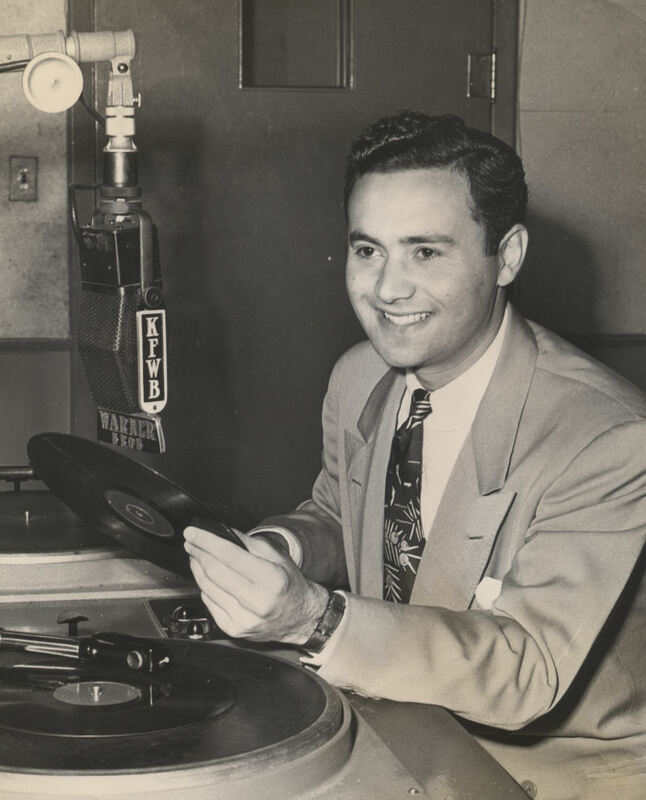 While a DJ at KFWB, Norman organized jazz concerts at venues like the Shrine, the Pasadena Civic Auditorium, and the Hollywood Bowl with artists like Benny Goodman, Dizzy Gillespie and Shorty Rogers under the aegis of ‘Gene Norman Presents.’ These shows were recorded and released on Decca, Capitol and Modern Records, presaging Norman’s later career as a record label owner. In 1954, Gene opened the Crescendo nightclub on the Sunset Strip which featured an adjunctal venue, the Interlude, upstairs. There he presented virtually every record and cabaret star of the era, including Ella Fitzgerald, Bob Newhart, Johnny Mathis, Stan Kenton, Herb Alpert’s Tijuana Brass, Lenny Bruce, Don Rickles, Rusty Warren, Mort Sahl, Woody Allen and Louis Armstrong. Norman continued to put on big concerts, and produced a series of live albums and studio recordings based around his promotions. His own record imprint, GNP Crescendo, was therefore a natural next step, and indeed the label became the focus of the rest of his life. He served as one of the directors of the RIAA, and was elected into the Hall of Fame of the American Association of Independent Music in 1991. Norman’s jazz recordings formed the base of what was to evolve into a vast and varied catalog, including acts such as The Seeds, Joe & Eddie, Queen Ida (who garnered a Grammy for the label), Wrecking Crew regular Billy Strange, Bing Crosby, Gary Richrath and many original film and television soundtracks. The label operated out of offices on the Sunset Strip for more than five decades, moving to less hectic quarters in later years. Up until his death, Norman remained a force in the label’s direction, consulting with musician/producer/director son Neil, to whom his legacy now passes.